A special, in some way random, review. 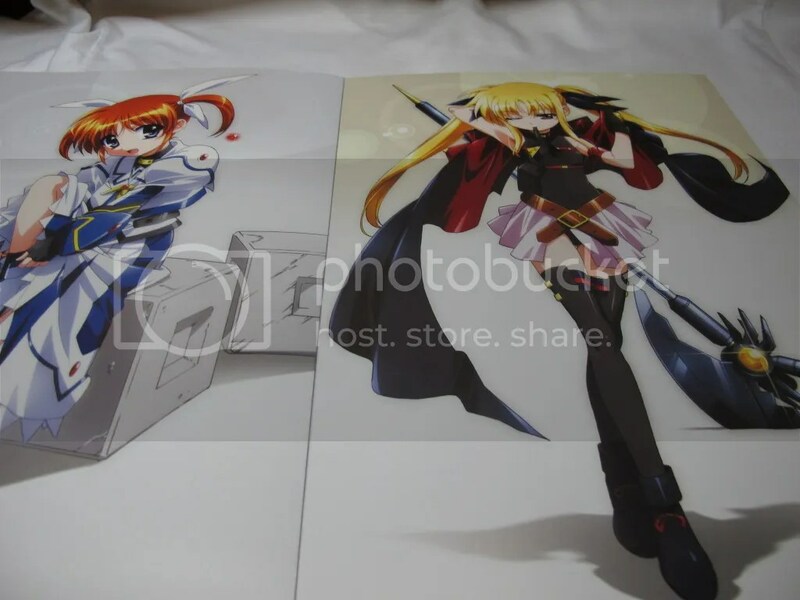 This is Nanoha MOVIE 1st’s Visual Collection book, which came with Fate’s 70cm stand pop. 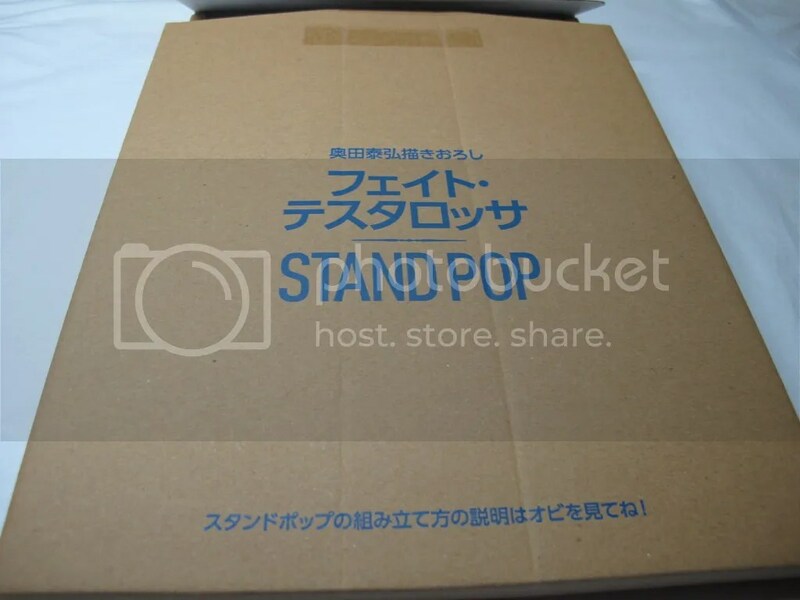 Unless you’re a fanboy(like me), you wouldn’t really wanna get this. Since it is indeed expensive. 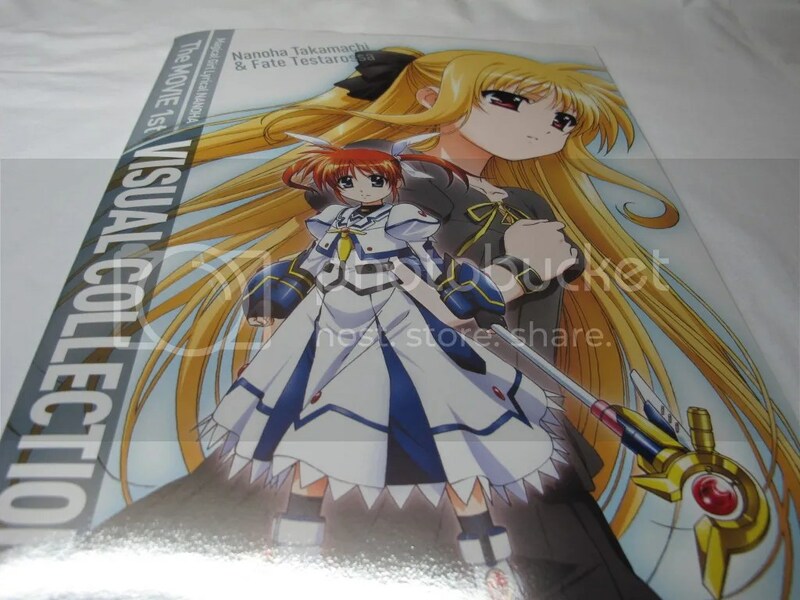 Then again why would you ever want a Visual Collection unless you loved the series. 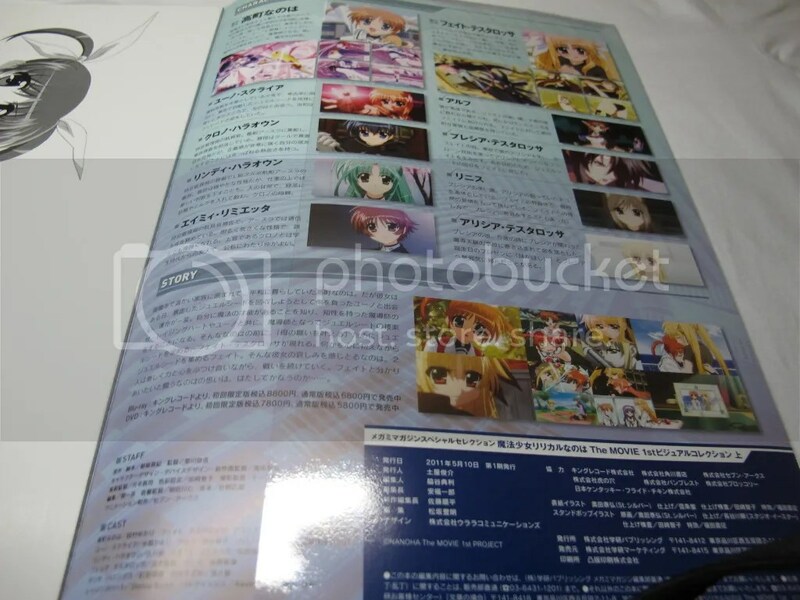 Some shots of the book, you can search for the rest of the pictures online somewhere. 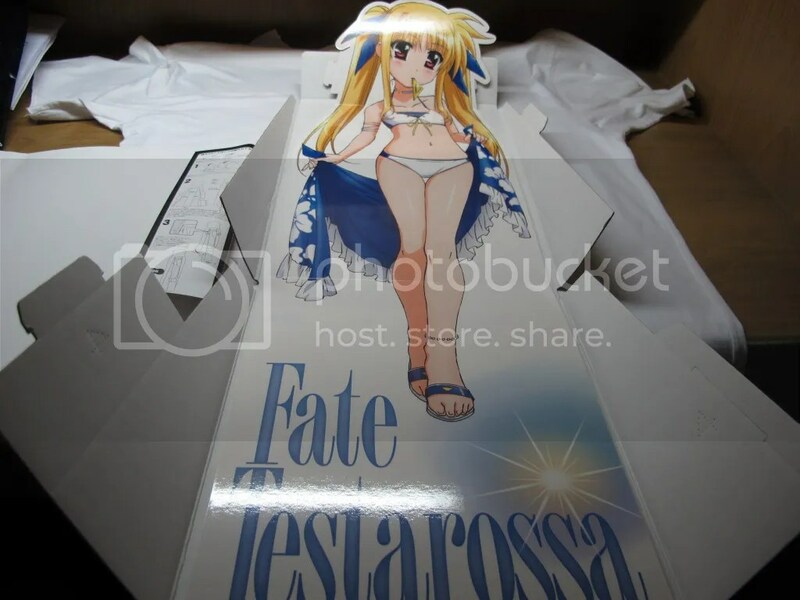 Now for the hightlight, which is a 70cm tall Fate’s swimsuit illustration on a cardboard paper. Seriously, I don’t have a clue on how to put this together. I wouldn’t know where to put it if I did anyway. …A kinda random post. Expect more of this! 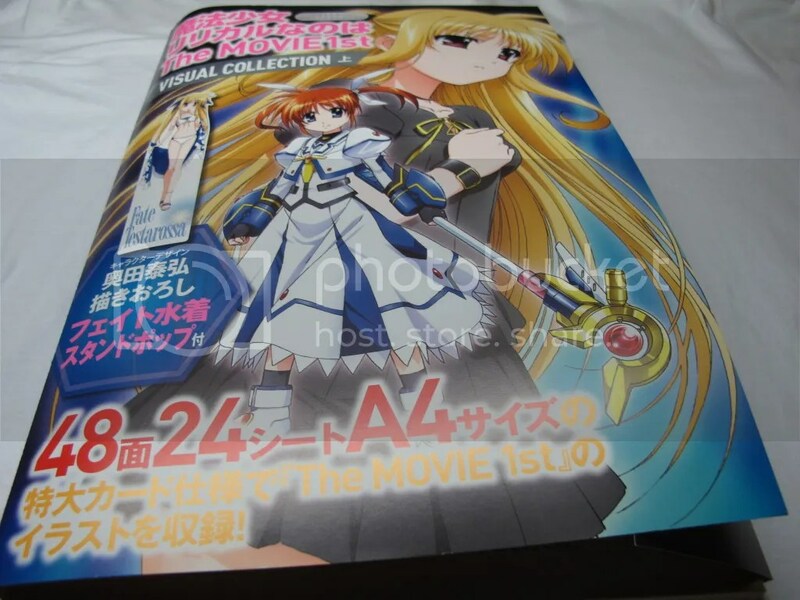 This entry was posted in Reviews and tagged Fate Testarossa, magical girl lyrical nanoha, Mahou Shoujo Lyrical Nanoha, Review.